well over 40 years ! 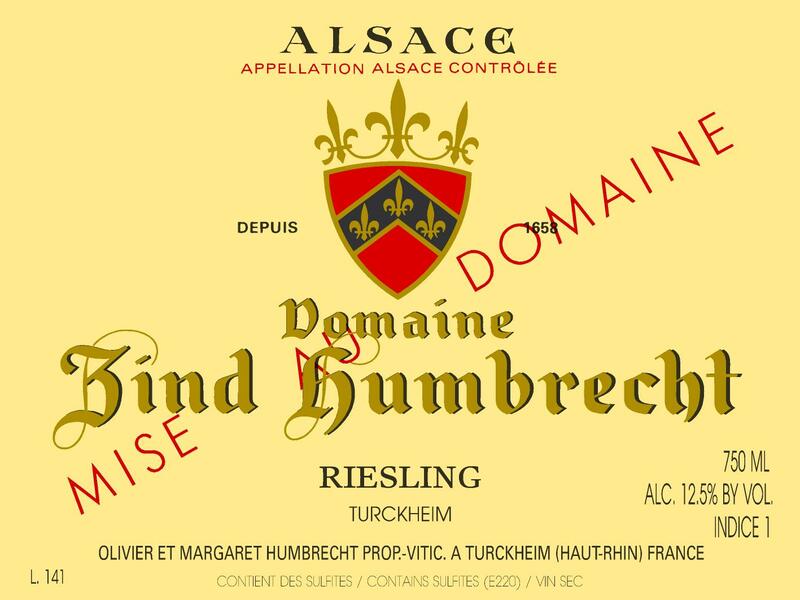 This second lot of Riesling Turckheim originates mostly from our Herrenweg single vineyard. Slightly more concentrated, with a higher acidity, the fermentation was much slower and therefore it wasn’t possible to blend the two lots together. Of course, these older vines were able to go through the drought with no stress. Clearly, a slower fermentation and longer lees contact brings more concentration to the wine but also a more reductive and tighter profile. As much as lot 140 was quickly ready for appreciation, lot 141 could benefit from more time in the bottle and more oxygenation. The Herrenweg vineyard is located on a warm alluvial soil, but these grapes also came from the richest part, which also explains the more mineral character of this wine. 2/2018: bright pale yellow/green colour. At this young age, the wine still has a high CO2 content, so opening the bottle in advance or decanting could be advised. The nose shows fresh citrus fruit aromatic, still tight, obviously in need of time. Alluvial soils rarely produces wines with a high mineral/ash content, but this wine has a very mineral/rocky aspect on the nose, confirmed on the palate with an interesting salivation. The palate is nicely balanced between acidity, power and a silky dry finish. This is a very classic Riesling Turckheim, it will probably need a few months after the bottling to fully open up and reveal a more expressive character.